Botanical Gin: Distilled with fine botanicals and carefully balanced with juniper berries, lemon grass, angelica root, cardamom, and oranges. The finish offers a zesty, lemony hint of Simcoe hops. Dry-Hop Simcoe & Citra Vodkas: Based on the finest tall blonde wheat, distilled five times, and blended with American Simcoe or Citra hops. 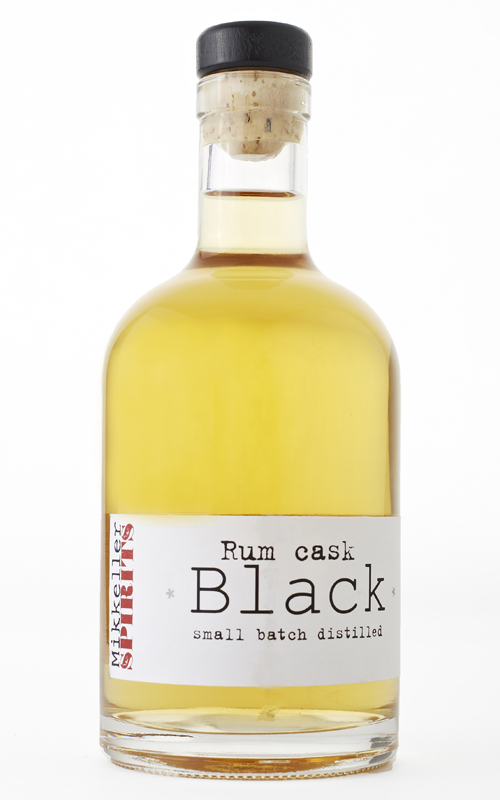 Rum Cask Black: The “Black Spirit,” matured in sweetening rum barrels from the original Danish colony of Sankt Croix. Very well-rounded and smooth. Oloroso Cask Black: Matured in European oak sherry casks typically used for whiskey, adding tastes of dark chocolate, dark fruits, and nuts. A treat for the whiskey enthusiast. Bourbon Cask Black: Matured in bourbon casks, gently imparting flavors of vanilla and toffee to the spirit.